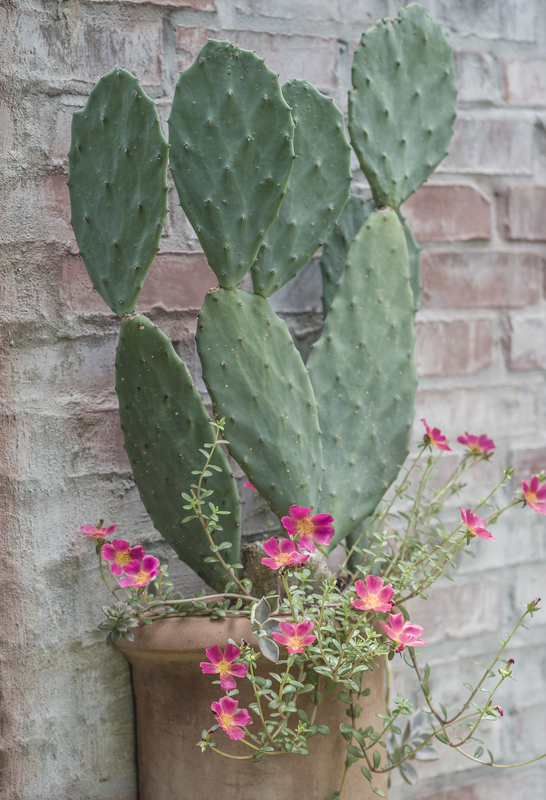 Several years ago I bought a pad of Prickly Pear (Opuntia sp.) at the fresh produce “Mexican Section” of an area grocery store and rooted it in a 1/2 pot. It has been happy as a meadowlark even though it grows on our west wall where it roasts in the afternoon sun. I’ve taken to rooting the pot with Portulaca, as well. The two of them seem happy enough together. This entry was posted in Gardening, Leica, PHOTOS, Words, WORDS AND PICTURES by Jeff Abt. Bookmark the permalink.